**Owned Solar System** to help save lots of money on future utility bills. This is a Beautiful 4-Bedroom, 2-Bathroom, 2-Car garage home on a premium lot siding to greenbelt in the wonderful Deer Village Subdivision. The home features a large Greatroom Floorplan with tall vaulted ceilings, huge kitchen island with breakfast bar, maple cabinetry, tile backplash, updated fixtures and faucets, entertainment niche, gas fireplace, tile flooring throughout except bedrooms, and a beautiful updated master suite. 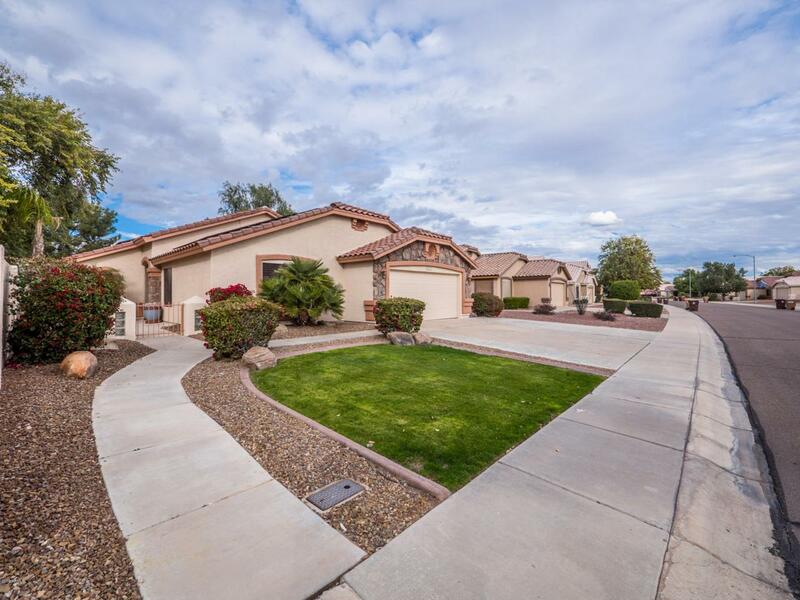 Outside the home has new exterior paint, extended driveway, private front walkway through lush grassy landscaping, waterfall in the front courtyard, extended rear patio with gas firepit and built-in-BBQ, additional sidewalk to side access gate. This is a must see! !